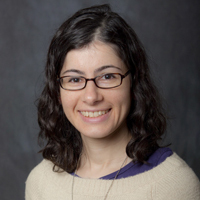 Dr. Josefa Steinhauer, assistant professor of biology at Yeshiva University, published an article in Spermatogenesis. The article, “Drosophila spermatid individualization is sensitive to temperature and fatty acid metabolism,” investigates the process of sperm production using the fruit fly model and found that temperature and lipid signals are important for fertility, setting the stage to investigate how lipid signals affect fertility. Recent Stern College for Women alumna Geulah Ben-David ’12S and Yeshiva College alumnus Eli Miller ’13YC were co-authors on the article, whose findings will be relevant for understanding human fertility and infertility.